This card can be used as a birthday card, a get-well card, or for other special occasions. 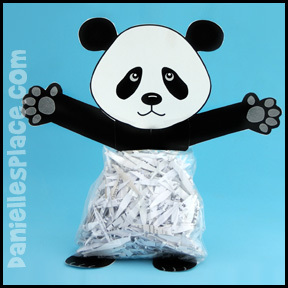 Lift the panda's head and write a message, or write a message on a green piece of paper, roll it up, and add some leaves to make it look like bamboo. Write a message under the head that says to unroll the bamboo to read the message. 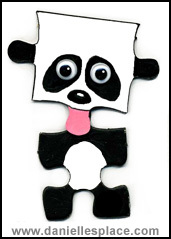 Print out the pattern, fold fold down the head to make a flap, glue on the ears, arms and legs to make your own unique panda bear card. Roll up a piece of green paper to make the bamboo. Print out the pattern, fold up the legs and feet to make a cute little sitting bear. 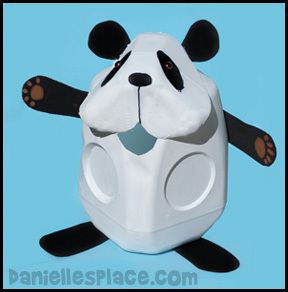 Place Holders - Use this cute little panda as a place holder. Write your children's names on the bellies and have them place the bears where they are sitting. 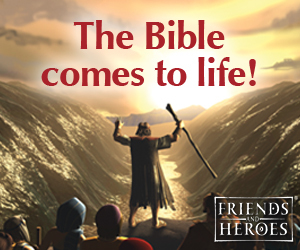 Bible Verse Card - Have your children write the Bible verse on the bear's belly, or make a Bible verse card and tape it to the bear's hand. 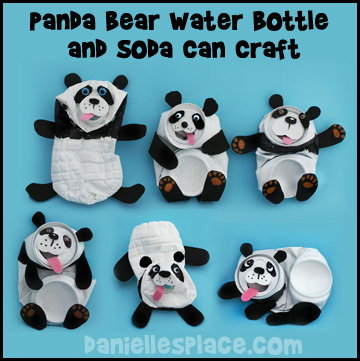 Paper Dolls - Use panda bears as paper dolls to act out stories. 1. Draw a panda bear body on the corner of a sealed envelope with its arms and legs stretched out so that it looks like it is holding onto a book. The corner of the envelope will be where the head is attached. 2. Color the body and cut it out. You will have two sides of the bear. 2. 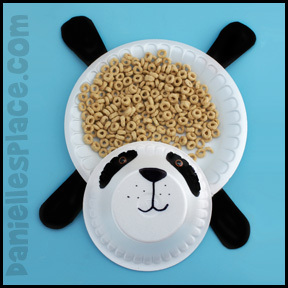 Draw the panda's head on a sheet of white card stock and cut it out. Glue it to the corner of the bear's body. Place the book mark on the corner of your book. 2. 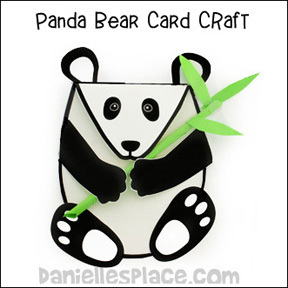 Draw a panda bear head, arms and feet on card stock as shown in the picture and cut them out. 3. Staple the head to the top of the bag. Staple the arms under the head. To finish tape the feet to the bottom of the bag. These cute little critters cost only pennies to make and each one is unique! 1. Collect empty bottle and cans, wash them in warm soapy water, and let them dry. Crush the cans with your feet. Try to get the opening of the can in the place you would like as you crush. To crush the bottles fold over the top half of the bottle while pushing in on the sides or slightly twisting the sides. Press down with your feet until the crushed bottle stays in place. If you want the bottom of the bottle to be rounder and fatter for the body of the bear, do not crush it flat. 2. Spray paint the bottles and cans with white, flat spray paint and them let dry at least an hour. 4. Cut a tongue from pink craft foam and glue it the inside of the mouth. 5. Use a Sharpie marker to draw the dots on the muzzle. 6. Glue on googly eyes, or eyes used to make stuffed animals. Cut the backs off the animal eyes with pliers before gluing them on. You can also use animal noses instead of fun foam shapes. 7. Paint paws with brown acrylic paint. 8. Glue a magnet to the back of the bear if you want to display your bear on your refrigerator. 1. Glue the bowl upside down to the Styrofoam plate. 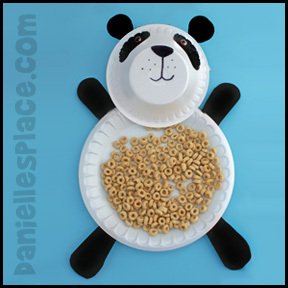 You can make the panda bear look like it is laying on its back by placing the bowl at the top of the plate. Or you can make it look like it is laying on its stomach by placing the bowl at the bottom of the plate as shown in the pictures. 2. Cut arms, feet, and ear shapes from black craft foam and glue them to the plate. 3. Paint on the nose and eye patches with black acrylic paint and draw in the mouth with a black Sharpie marker. 4. To finish glue on some googly eyes or other animal eyes. 1. Glue two foam marshmallows together ( flat sides together) for the body. Cut a 3/4" wedge out of one marshmallow as shown in the picture for the head. Glue the head onto the body as shown. 2. Cut one marshmallow in half long ways and then cut both half pieces in half again the same way to make the legs. Cut corners off of the ends of each leg piece and glue them to the the body as shown. 3. Paint the legs, around the eyes, and neck area black. Use a marker to draw in the mouth and tongue. Glue black pompoms on for ears. Paint paws on the ends of the back legs. 1. Wash and dry two milk jugs . To remove the labels fill the jugs with hot water up to the labels. Let the jugs stand for about one minute and then pull the labels off. You can also use a hair dryer. Heat the labels with the hair dryer and then pull them off. 2. To get rid of the ink numbers on the top of the jug spray a little bit of paint on the numbers. The spray paint will dissolve the ink. When you see the ink start to run, wipe off the paint. If the spray paint doesn't take off the numbers, use finger nail polish remover. 3. Cut the face of the bear from the bottom of one milk jug. See the diagram to the right. Draw the outline of the face on the milk jug using a dry erase marker and then cut on the line with sharp scissors. The face should be drawn on the handle side of the jug. Place the head on the other milk jug so that the top of the head is covering the hole in the top of the jug. Use a dry erase marker to mark where you want the mouth. Remove the head and cut out the mouth shape. 4. Spray paint the jug with the cut out mouth and the head piece with white spray paint and let dry for one hour. Then glue the head to the body. 5. Cut arms, legs, and ears from black craft foam and glue to the jug. Paint on paws with brown paint. Paint on the nose and eye patches with black paint. 1. Wash and dry the milk jug. 3. Spray paint the entire jug white and let dry. 4. To make the bear's legs cut the top edges off the Dixie cups. Cut a line all the way down the side seams to the bottom of the cups. Roll the cups up so that they are smaller on the tops of the cups as shown in the picture. Cut off the parts of the cups that hang over. Glue the sides together with a low temp hot melt glue gun. Squeeze the top of the cup together and glue closed. Paint the legs black and then glue the legs to the bottom of the milk jug. 5. Paint a black stripe just below the top of the jug as shown in the picture. Paint two large spots where you want the eyes. Paint a noise and mouth. Cut arms and ears from black craft foam and glue to the jug. 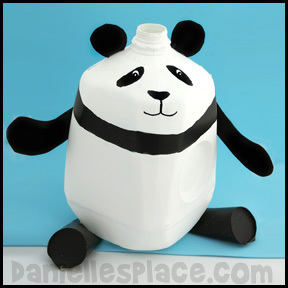 See above for directions on how to make another panda bear collection jug. 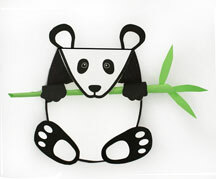 See the Earth Day Craft Projects Page to learn how to use this panda bear for an Earth Day money making project.